The free version of Teams, which doesn’t require an Office 365 subscription, is designed to counter competition from Slack. In another sign of how heated the collaboration software market is getting, Microsoft has launched a free version of Teams, offering access to the group messaging and collaboration app without requiring an Office 365 subscription. Teams was launched as a rival to popular team chat platform Slack – which already offers a free version – at the start of last year; Microsoft bundled it with other Office 365 apps such as Yammer, One Drive and other Office tools. As of March, some 200,000 organizations were using the chat app – up from 125,000 in September – though Microsoft doesn’t break out monthly active user figures. The new freemium payment model is designed to make it easier for anyone to try out Teams, said Alan Lepofsky, vice president and principal analyst at Constellation Research, because it puts the app into the hands of more users. “Microsoft Teams free is a significant move not just because it’s free, but also because it does not require an Office 365 account, allowing anyone to sign up,” Lepofsky said. Non-paying users have access to the same basic features offered in the full app, with unlimited messages and search, guest access, audio and video calls and screen sharing. Microsoft provides 10GB of team storage plus an additional 2GB for each user – with up to 300 people supported. 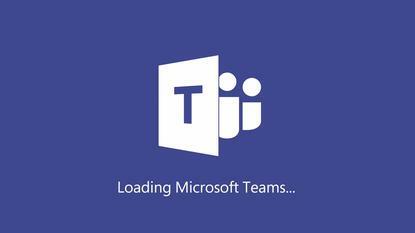 Users can also collaborate with colleagues on Word, Excel and PowerPoint documents that are built in to the Teams app. The free version offers unlimited access to a selection of 140 third-party app integrations – far beyond the number allowed in Slack’s free version, which is capped at 10 integrations. However, users will need to upgrade to Office 365 to gain access to the full list of Teams third-party apps. Microsoft listed how its free version of teams differs from Slack. Access is also granted to the advanced “intelligence communications” features first touted by Microsoft in March, including background blur on video and in-line message translation. However, the free tier limits storage and other features, and lacks certain security, compliance and support capabilities that may be required by enterprise users. The full-featured version ups the storage allocation to 1TB and grants full access to web productivity tools such as Word, Excel and PowerPoint, as well as additional Office 365 services such as Yammer, Planner, SharePoint and OneDrive. With the launch of a free tier, Microsoft hopes to attract a wider audience to Teams, especially smaller businesses, startups and freelancers. The idea is that users will eventually pay for a wider variety of apps and capabilities in Office 365 Business and Premium versions as their needs grow. In that sense, Teams acts as a gateway into the Office 365 and Microsoft 365 ecosystems. The free tier could also appeal to small teams within larger organizations – just as Slack achieved ‘viral’ adoption with enterprise businesses. A free version of Teams – first highlighted by Petri back in February – will ramp up the competition with competing team chat app providers, and “will negatively impact Slack in the future,” said Patrick Moorhead, founder and principal analyst at Moor Insights & Strategy. While Slack has proved popular with teams, the company is now also targeting larger business-wide deployments with its Enterprise Grid product, launched in early 2017. Microsoft Teams, conversely, will become more accessible to a wider audience, allowing Microsoft to target users that may otherwise have been attracted by Slack’s free tier. “While Slack was moving from small groups to large groups, Microsoft started with Teams and large enterprises and [is] moving their way down the stack,” said Moorhead. Microsoft also touted new capabilities for its Microsoft 365 suite – which packages Windows 10 with Office 365 and enterprise mobility management tools. Subscribers will now be able to create live and on-demand events in Microsoft 365, with features such as a speaker timeline that uses facial recognition to detect who is talking, speech-to-text transcription and closed captioning. Meanwhile Microsoft’s Whiteboard “digital canvas” collaboration tool, which was unveiled as a public preview in December, is now generally available for Windows 10 and iOS. An Android version is on its way too, and Microsoft said Whiteboard will eventually be integrated into Teams. Also this week, Slack announced that it has upgraded its search capabilities with improved filters to help hunt down relevant files and messages. Search results are also more personalized, based on which colleagues are most commonly communicated with, and an expanded search view has been added.